Salvia Extract is pleased to announce that we now accept Bitcoins as a payment method. Bitcoin is an innovative digital currency designed to keep users identity private and secure at all times. Bitcoin is perfectly suited for our industry. By lowering our processing costs, we are thereby lowering the price that you pay. Because Bitcoin is a digital currency, users can pay anyone across the globe without having to go through currency exchanges or get ripped off by international pricing. All transactions are strictly person-to-person, with no middle man handling your money or info. Getting started with Bitcoin is quite simple, just follow the instructions below! Bitcoins require the use of a “wallet.” This is exactly what it sounds like: a place to store your Bitcoins. All wallets can communicate with one another, allowing you to send and receive Bitcoins from anyone, regardless of what type of wallet they use. Think of your wallet as your e-mail, you may have gmail while I use yahoo, but we can still send each other e-mail just fine. You can get a wallet for free here. Here at SalviaExtract, we like to use Coinbase. Coinbase is the leading Bitcoin purchasing website in the world, and for good reason. 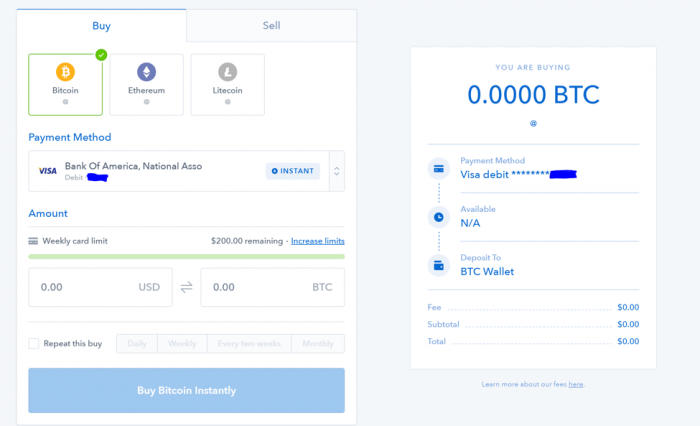 Coinbase offers a remarkably simple interface to take all of the stress and hassle out of using Bitcoin, leaving the user with a seamless experience. First you will need to enter your name and password, which is straightforward enough, but then you will have to give them your credit card or bank account information. 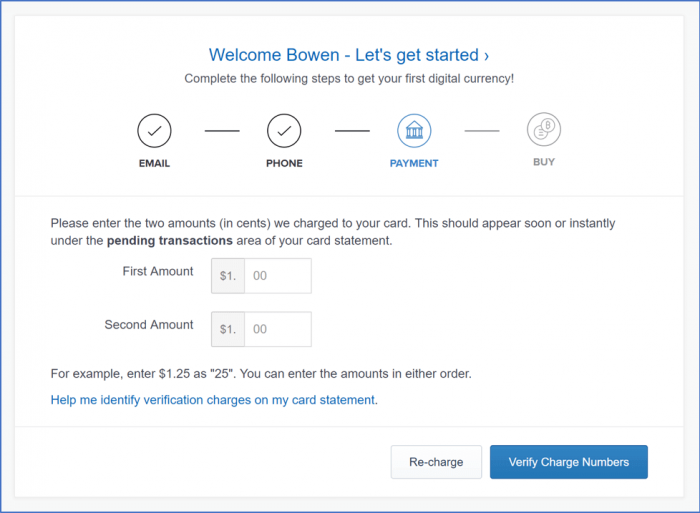 Coinbase will then give you two small payments, which you will enter into their form to verify your bank account. These two small payments will then be immediately wiped. Here you can enter in the amount of money you want in US dollars and Coinbase will do the conversion for you. Just click “Buy Bitcoin Instantly” and you’re finished! If you would like to send or receive funds to another user, you can enter their email into the “send/request” tab of Coinbase and then fill in the amount you would like to send. While we like to use Coinbase for its simplicity and ease of use, remember that you can use many other sites if you do not like Coinbase for whatever reason. Just google “Bitcoin Wallet” and you will receive a list of services. Now that your have your wallet, you’ll need to acquire some Bitcoins. Bitcoins can either be purchased at the exchange, or you can set up a “mine” to slowly earn them over time. For more information on mining, please scroll down past the “Checkout” section. Once you have your wallet and coins, you can begin shopping for all of our Salvia, Ethnobotanical, and Kratom products! Bitcoins are accepted for any and all payments, so feel free to explore SalviaExtract.com! 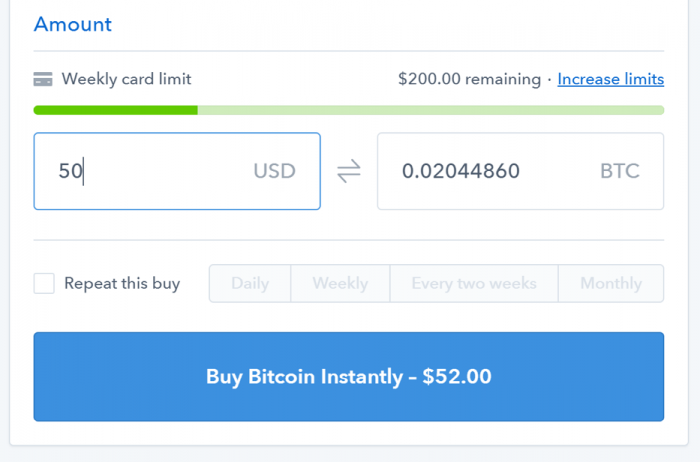 To select Bitcoin as your payment method, simply shop normally until you reach the checkout. At the checkout, scroll down to the Bitcoin option SEE IMAGE BELOW and proceed with your order. You will then be asked to send an exact amount to our bitcoin address. 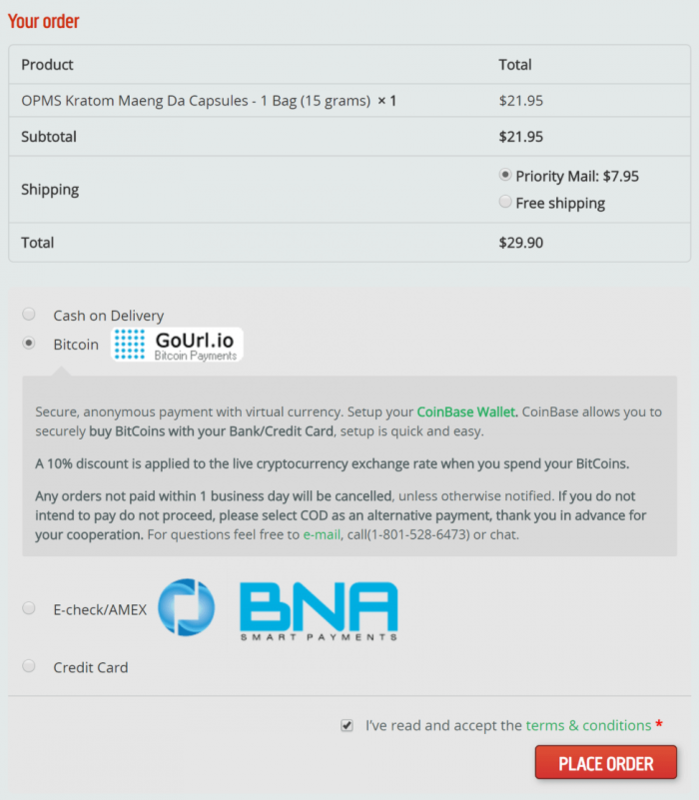 Copy and paste this address as the recipient when sending Bitcoins and your order will be processed. For more information on how to send and receive Bitcoins using Coinbase, see the “Coinbase” section above. Not sure where to start? See our list of best sellers! After selecting your products, simply hit checkout and select Bitcoin as your payment method! For a complete guide on purchasing with Bitcoin on SalviaExtract.com, visit our Bitcoin help page. Mining Bitcoins sounds daunting, but it is actually quite simple. A “mine” is just a computer running software to solve mathematical equations. Every Bitcoin transaction is recorded in the “block chain”. This chain is essentially a massive ledger of amounts paid for every transaction ever. The “mining” process is where you dedicate a computer to checking these math problems, further securing Bitcoin and receiving small rewards. Because Bitcoin is not a physical currency, no government decides when to print more. Instead, mining double checks everything and gives out more coins, serving as both an accountant and a mint. This process is very computer intensive, however, so special equipment is required. Mining can be very straightforward if you buy a rig directly. Building your own rig is possible but extremely complex. If you are just beginning, make sure to read as much material on mining as possible before making your decision on how to mine. In the early days of mining, a miner had to use bitcoins to buy the equipment to set up a rig. Luckily, this is no longer the case. Amazon sells most hardware on their website which can be shipped directly to your front door. Make sure to check the Bitcoin Charts to see how the market is doing before making your investment. You will need a wallet to store your coins if you are mining. If you didn’t already, scroll up this page and find our “Getting a Wallet” section to see how to get one. Once you have your wallet, you are ready to start mining. All you need now is your software. There are plenty of different mining softwares to choose from, so be sure to do thorough research in order to get the right software for you. Once you’ve set that up, sit back, relax, and look forward to collecting your Bitcoins!